The two portals of the horizon from which the sun comes forth and exits represents duality, specifically the bipolar nature of the intellectual mind. The mind can be thought of as the brilliance of the sun with the spark of intelligence within conscious humankind contrasted with the controlling ego mind. These two elements are forever contending. The ancient Egyptians called them brothers: Horus and Set and from this warring a popular piece of literature from the dynastic period of Egypt is called 'The Contendings of Horus and Set' which I have written previously about in this blog post. 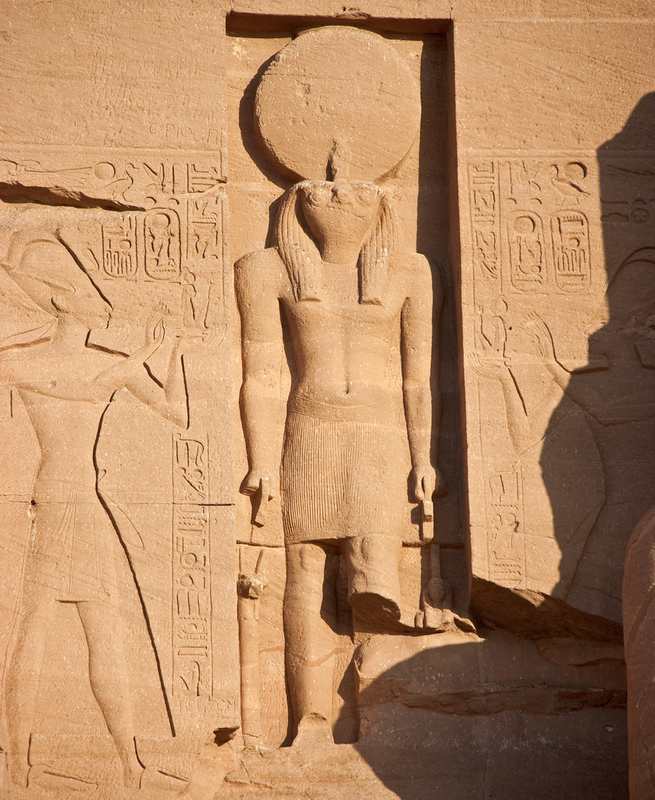 The name for this horizon 'god' is Harakhty, which has been translated as 'Horus of the horizon' which is incomplete in my view. The proper translation in my opinion should be 'the two faces of the double horizon.' The hr is referring to a face, the akh(e)t to the horizon, and the y makes it plural. 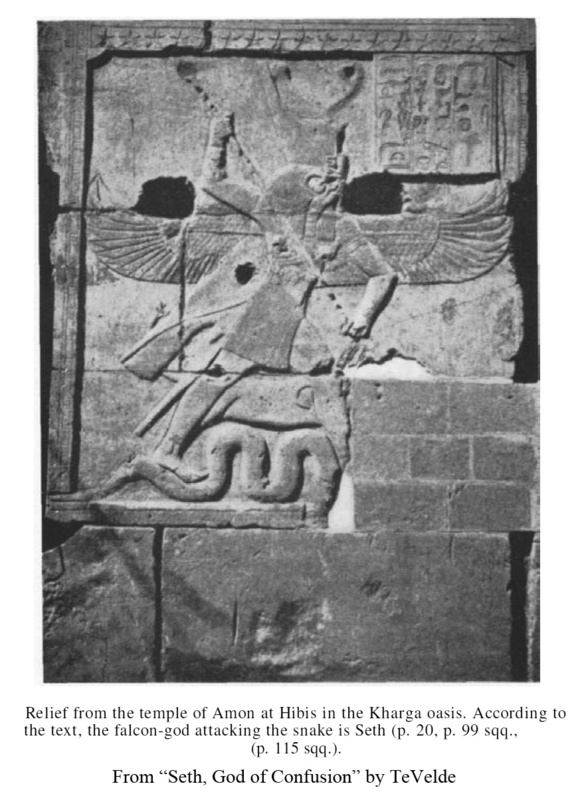 The iconography of Harakhty presents as a falcon, this divine predatory avian symbol representing at times not only Horus but instructively for the purposes of this essay also Set as shown here at the desert Temple of Hibis in the Kharga oasis. 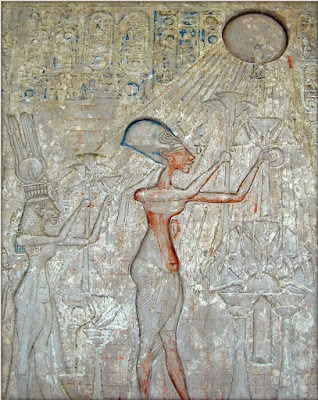 The renegade Egyptian Pharaoh Akhenaten's god, called by Egyptologists Aten, was early in its iconography at his desert outpost Akhetaten, referred to in the textbooks as Amarna, given the standard of the falcon and referred to as Re-Harakhty. The solar aspect of Re is recognizing the role of the light of the sun being inherent in the divine mind within the human race. 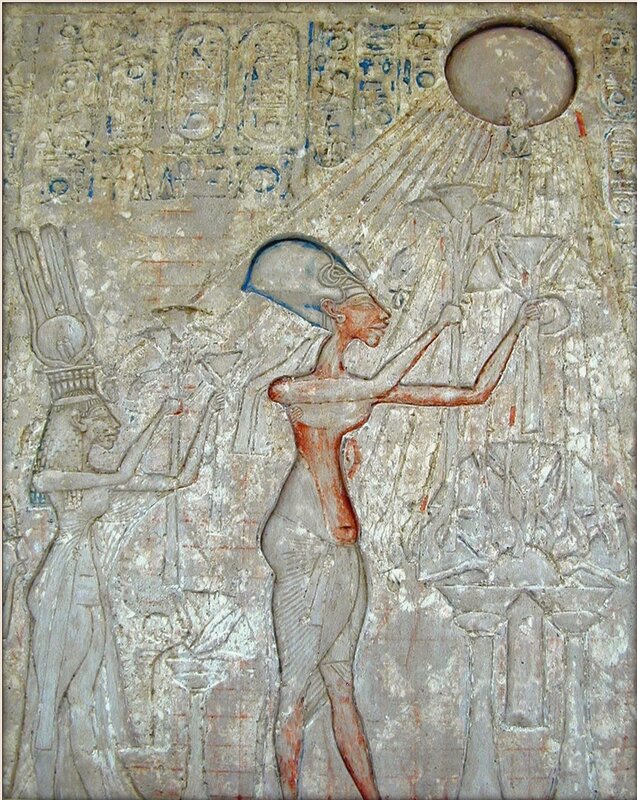 The strength and path of the sun encapsulates all these principles in the ubiquitous luminescent orb and was collectively referred to as Aten. This long and detailed blog post delves into this most interesting topic. 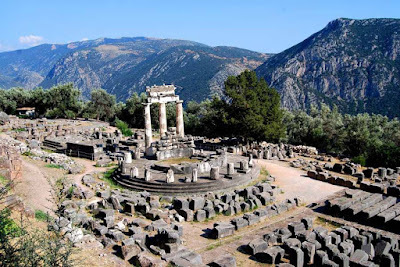 In Greek mythology the divine part of the mind is the god Apollo. His counterpart is the shadowy dragon Typhon, whom by this exploration into the myth is representing the ego. 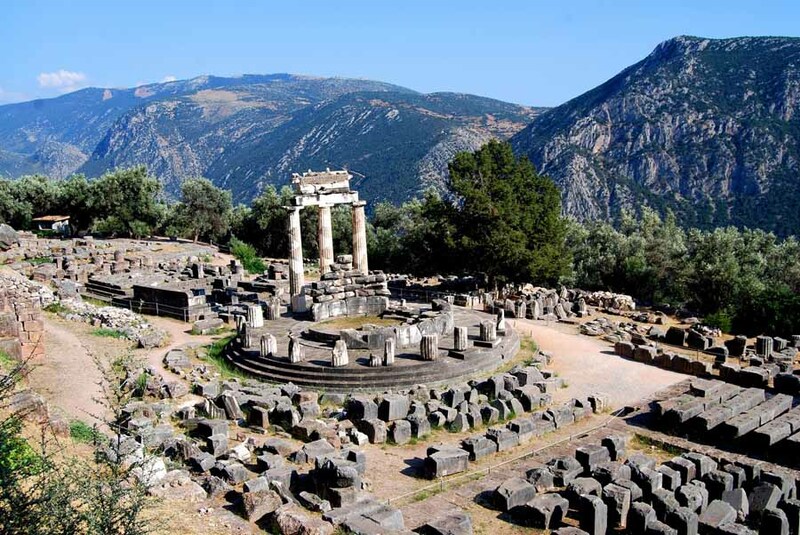 Apollo slays this dragon at Delphi which enables the fabled oracle at Delphi. It's interesting to speculate on this myth. Does the freeing of the mind from ego allow for the feminine intuition and ability to 'see' into the future to be tapped into? The great light of the sun coming forth by day is the intellect, the divine mind called nous in Greek. At its zenith, this ball of luminous light reaches up high into the northern sky. 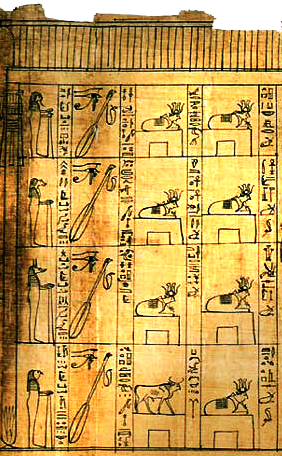 It enlightens the symbolic representations of the world axis such as the tree of life and the omphalos or world navel that connects us to the great mother. After the setting of the sun when the darkness takes over is the rise of the Pythian dragon Typhon, what we call ego, the brother of the divine mind that in our dualistic world becomes the adversary. 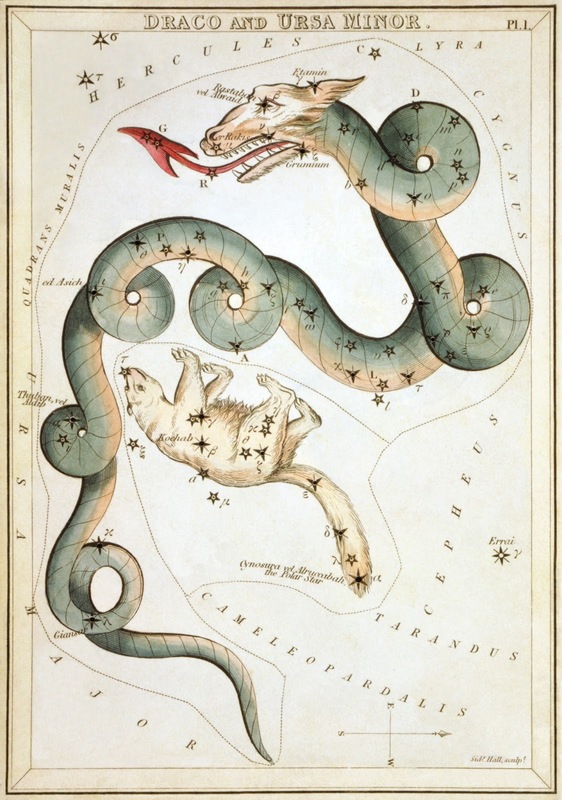 This coiled basilisk serpent wraps itself around the world tree, the great mother, and reaches up into the pinnacle of the heavens demanding worship as the most high as it manifests in the northern circumpolar constellation of the dragon, Draco. Taking the axiom 'As Above, So Below' and giving it a spin we can extrapolate 'What's Outside is Within' and in order for this inward perspective to come into the light the internal dragon must be slain.